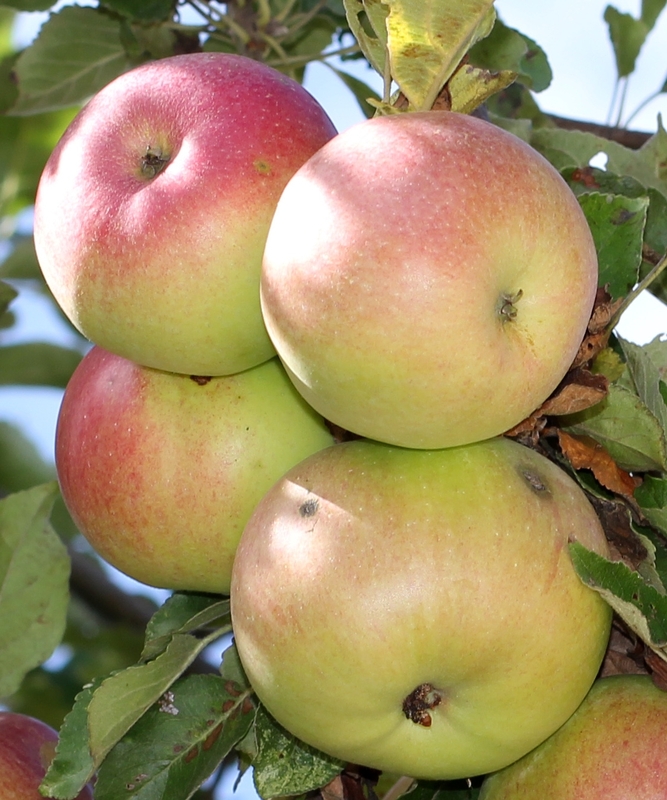 Mac, also known as the McIntosh, or McIntosh Red, is an apple that has red and green skin, a tart flavour, and tender white flesh, and ripens in late September. It is also considered an all-purpose apple, suitable both for cooking and eating raw. Apple trees were first introduced to Canada at the Habitation at Port-Royal (now Port Royal, Annapolis County, Nova Scotia) as early as 1606 by French settlers. Following its introduction, apple cultivation spread inland. The McIntosh’s discoverer, John McIntosh left his native Mohawk Valley home in New York State in 1796 to follow his love, Dolly Irwin, who had been taken to Upper Canada by her Loyalist parents. However, she had died by the time he found her. He went on to settle as a farmer in Upper Canada. In 1801, he married Hannah Doran, and they farmed along the Saint Lawrence River until 1811 when McIntosh exchanged the land he had with his brother-in-law Edward Doran for a plot in Dundela, which is about 70km south of Ottawa, (the Canadian capital). In around 1835, John McIntosh’s son Allan learned grafting; with this cloning the McIntoshes could maintain the distinctive properties of the fruit of the original tree. A house fire damaged the original McIntosh tree in 1894; it last produced fruit in 1908, and died and fell over in 1910. Horticulturist William Tyrrell Macoun of the Central Experimental Farm in Ottawa is credited with popularizing the McIntosh in Canada. He stated the McIntosh needed “no words of praise”, that it was “one of the finest appearing and best dessert apples grown”. The McIntosh made up 40% of the Canadian apple market by the 1960s. Horticulturalists from the Upper Canada Village heritage park saved cuttings from the last known first-generation McIntosh graft before it died in 2011 for producing clones. 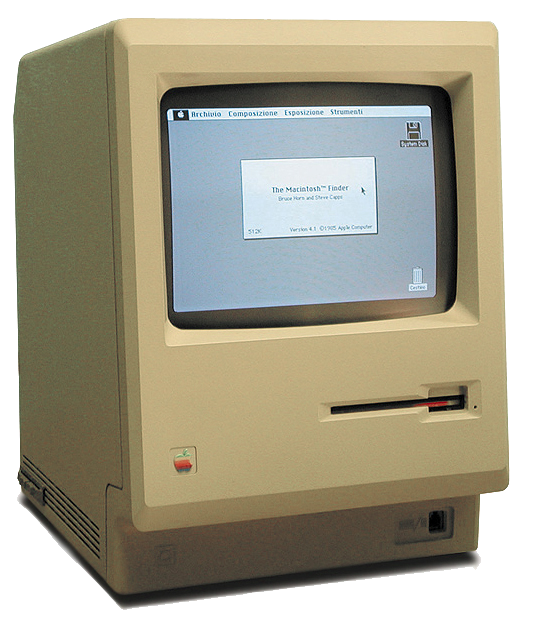 Apple Inc.’s Macintosh line of personal computers was named after the fruit. Did you know that Apple Inc. employee Jef Raskin named the Macintosh line of personal computers after the fruit? Next time you are in the grocery store, why not pick a few of these delicious apples for a bite of Canadian history! In the tough Depression years, a newly hired 16-year-old working at Dare’s Kitchener factory was paid 17 cents an hour. Ontario’s minimum wage for adults was 22 cents an hour! Food line at the Yonge Street Mission, 381 Yonge Street, Toronto, Canada, during the Great Depression in the 1930s. The worldwide Great Depression that started in the United States in late 1929 quickly reached Canada, and was hit hard. Between 1929 and 1939, the gross national product dropped 40% (compared to 37% in the US). Unemployment reached 27% at the depth of the Depression in 1933. Many businesses closed, as corporate profits of $398 million in 1929 turned into losses of $98 million as prices fell. Farmers in the Prairies were especially hard hit by the collapse of wheat prices. The Depression ended in 1939 as World War II began. Denyse Baillargeon, historian and author, uses oral histories from 30 women to discover how housewives in the depression handled shortages of money and resources. Often they updated strategies their mothers used when they were growing up in poor families. Cheap foods were used, such as soups, beans and noodles. They purchased the cheapest cuts of meat—sometimes even horse meat—and recycled the Sunday roast into sandwiches and soups. They sewed and patched clothing, traded with their neighbors for outgrown items, and kept the house colder. New furniture and appliances were postponed until better days. These strategies, Baillargeon finds, show that women’s domestic labor—cooking, cleaning, budgeting, shopping, childcare—was essential to the economic maintenance of the family and offered room for economies. Most of her informants also worked outside the home, or took boarders, did laundry for trade or cash, and did sewing for neighbors in exchange for something they could offer. Extended families used mutual aid—extra food, spare rooms, repair-work, cash loans—to help cousins and in-laws. Half of the Catholic women defied Church teachings and used contraception to postpone births—the number of births nationwide fell from 250,000 in 1930 to about 228,000 and did not recover until 1940. If you would like to read Baillargeon’s book, click here, Making Do: Women, Family and Home in Montreal during the Great Depression. We are approaching Canada Day, on July 1st. As we celebrate, I thought it would be interesting to note when the provinces and territories joined our great country. Just a little bit of trivia for the day! Further to yesterday’s post of a bank robber, I am inviting you today to meet another Canadian bank robber: Kevin John Pinto. A former financier, as vice-president at an investment firm, he was also known as the Exchange Bandit because of his habit of engaging bank tellers in conversation about U.S. exchange rate before giving them a holdup note. Beginning in 2002, Pinto robbed 10 banks throughout Ontario; in October 2008, he surrendered to police. He then pleaded guilty, and was sentenced to six years in prison. Pinto would commit his robberies during his lunch hour. 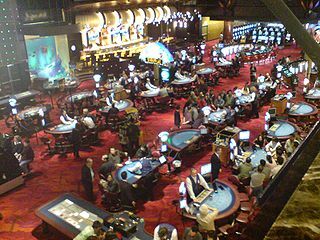 He was a compulsive gambler who turned to crime in trying to pay his accumulated gambling debts, which far outweighed the total amount he stole. Pinto is out now, and he says the corrections system doesn’t know how to properly handle gambling addiction. In 2012, he shared his experiences at the Ontario Problem Gambling Provincial Forum, along with health experts such as researchers from the Centre for Addiction and Mental Health. He wants to help gamblers, and get the word out there that gambling should be better recognized as an addiction. He suffered withdrawal, like nightmares and major anxiety, just like other addiction. He says the corrections system just don’t know how to handle gambling addicts. 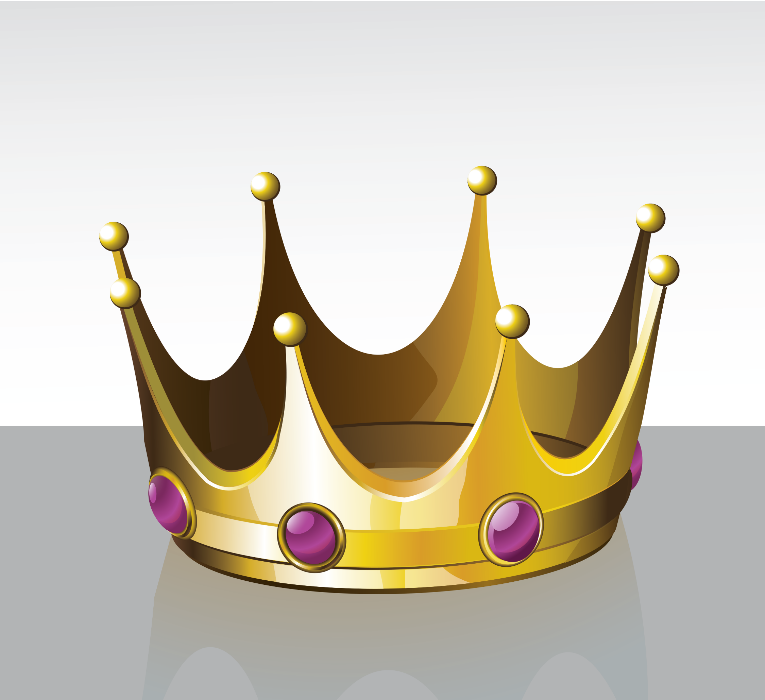 In this post, I’d like to write a little about Monica Proetti, a bank robber. Monica Proietti, was born on February 25, 1940; she died on September 19, 1967. 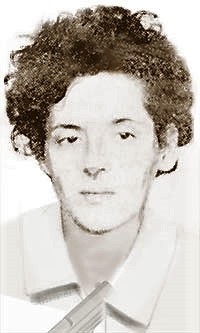 She was a Montreal bank robber and folk hero better known as “Machine Gun Molly” and in French, she is known as Monica la Mitraille. Monica came from a poor Montreal family, and crime was not foreign in the house. For instance, her grandmother served time in jail for receiving stolen goods; she reportedly ran a school for crime for the neighbourhood children. In 1956, at the age of 17, Monica married Anthony Smith, a Scottish gangster, who was 33 years old. The couple had two children. Smith was deported from Canada in 1962. She then became romantically involved with Viateur Tessier, but he was jailed in 1966 for armed robbery. When she was 19, four of her seven siblings perished in a fire in downtown Montreal. Monica and her accomplices held up more than 20 banks, stealing over an estimated $100,000. On September 19, 1967 Monica died after crashing into a bus and being shot twice by an undercover police officer following a high-speed chase through the north-end of Montreal. Reportedly, this was to have been her last bank robbery, intended to fund a new life in Florida. A 2004 Quebec film Monica la Mitraille (Machine Gun Molly in English) was loosely based on her life. The film was adapted from the book Souvenirs de Monica by Georges-Hébert Germain.